John Broomfield Removals - Removals/Storage based in Streat, East Sussex. 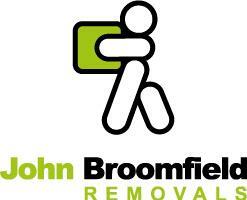 Welcome to John Broomfield Removals. We are a local family business who have been established since 1998. As well as a removal service we also offer storage facilities, house clearance and a porterage service. We can cope with removals from single items to large houses. We have built our reputation on reliable, quality friendly service and have many customers who keep coming back to us and recommend us to family and friends. We offer a 6 days-a-week service and travel throughout the UK and abroad. We have our own storage facility at our base and can offer very competitive rates, for long or short term storage. We also offer a house, flat or garage clearance service. We will clear all unwanted items, offer to buy anything of value from you and recycle any items that can be salvage, thereby keeping the costs down. Please do not hesitate to give us a call to discuss your requirements.